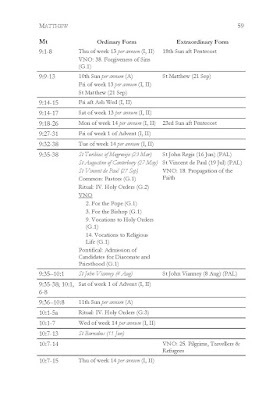 Matthew Hazell & Peter Kwasniewski (foreword), Index Lectionum: A Comparative Table of Readings for the Ordinary and Extraordinary Forms of the Roman Rite (Lectionary Study Aids, vol. 1), Lectionary Study Press, 2016. xxxviii + 232 pp. Available from Amazon (USA $16.95; UK £11.99; Germany, France, Spain, Italy €15,49 + tax). The Index Lectionum is a new tool that makes the comparison of the lectionaries of the Ordinary and Extraordinary Forms easier than it has been up until now. 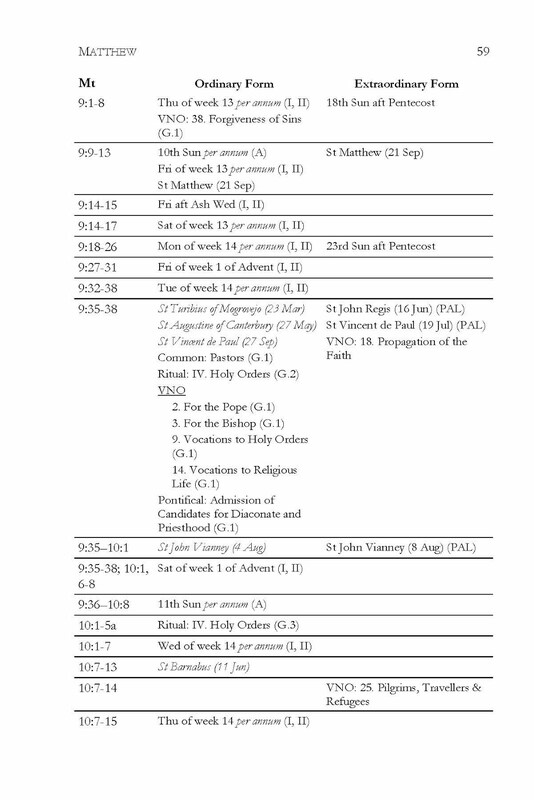 All the readings at Mass in both forms of the Roman Rite have been arranged side-by-side in biblical order, with their use in each form documented. 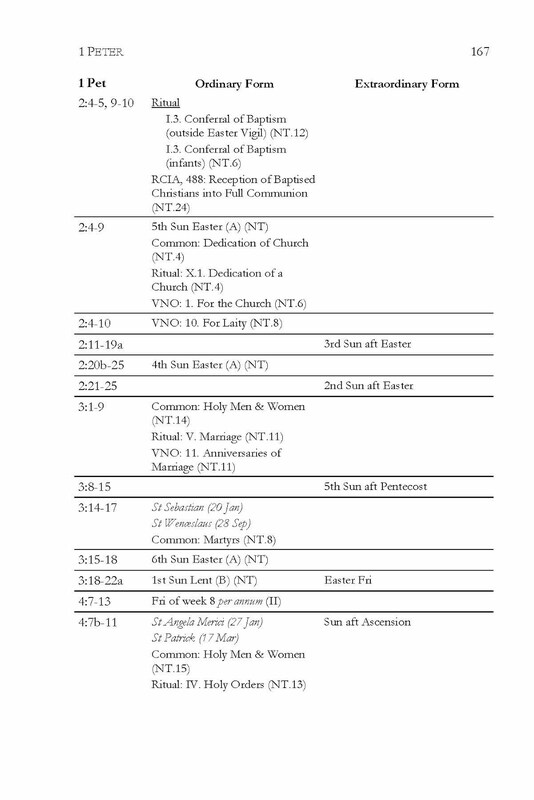 This book thus makes it possible to look up a biblical reference and quickly find out if it is used on the same day or celebration in the OF and EF, or where a reading in the EF has been transferred to in the OF, and so on. 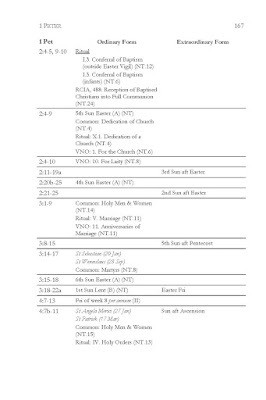 This is the first volume in the series; subsequent volumes will take up the use of the Psalms in the two Missals, as well as comparing the psalms and readings of the Liturgia Horarum (2000)/Breviarium Romanum (1961). 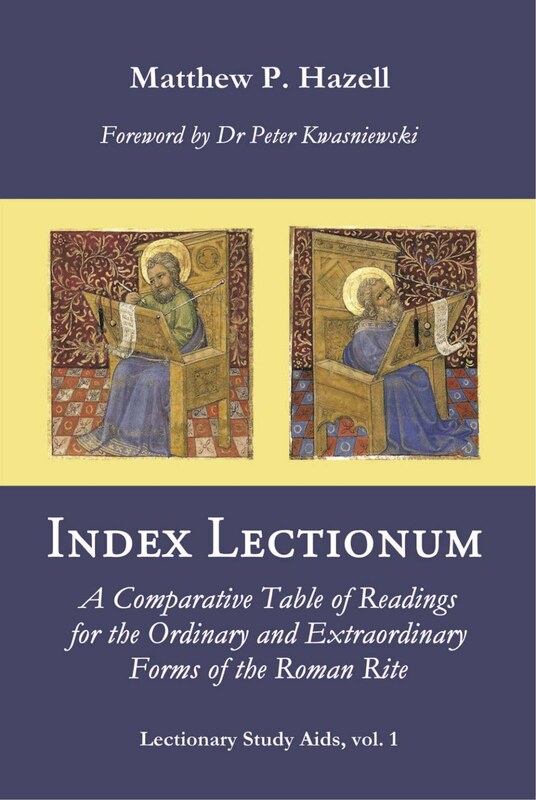 For all those who love the Church's liturgy, the Index Lectionum is a vital comparative tool for further study of and research into the lectionaries of the Ordinary and Extraordinary Forms: their relationship to one another, their similarities and differences, and their respective pastoral advantages and disadvantages.